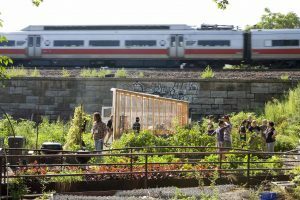 Karen Washington has been growing produce in The Bronx since 1988. Since 1988, community members have used the Garden of Happiness as a neighborhood gathering spot. 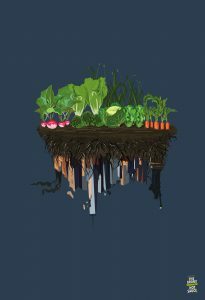 For community residents, the Garden is more than a natural refuge; it is a focus of community activity and cultural exchange. 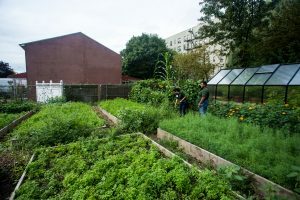 Members of the garden have organized voter registration drives, census outreach programs, workshops on agriculture and soil testing, as well as food drives for the homeless. 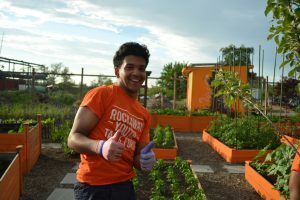 Each bottle of hot sauce purchased directly supports The Garden of Happiness as well as many other gardens with vibrant social missions to strengthen the fabric of urban neighborhoods.